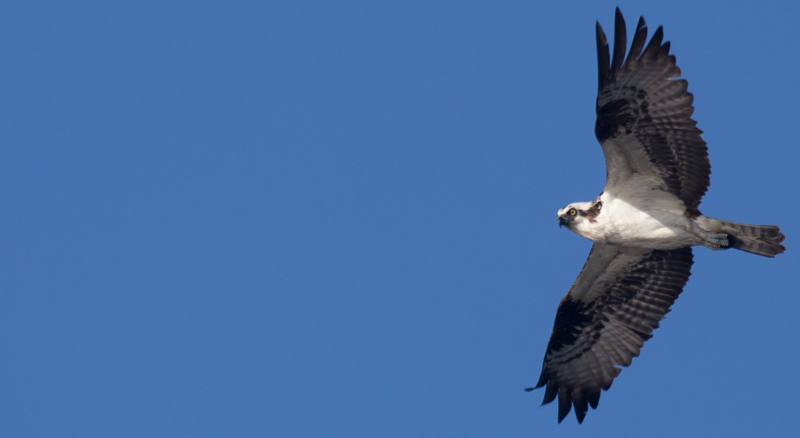 If a Eagle is a sprinter,a Osprey is a long distance runner! 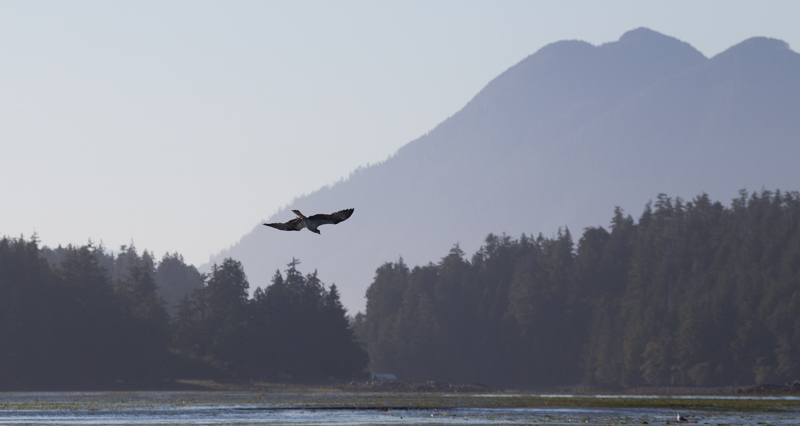 A Osprey will cruise above the shallows for a long time while a eagle can only do this for a few minutes until it has to perch & rest. 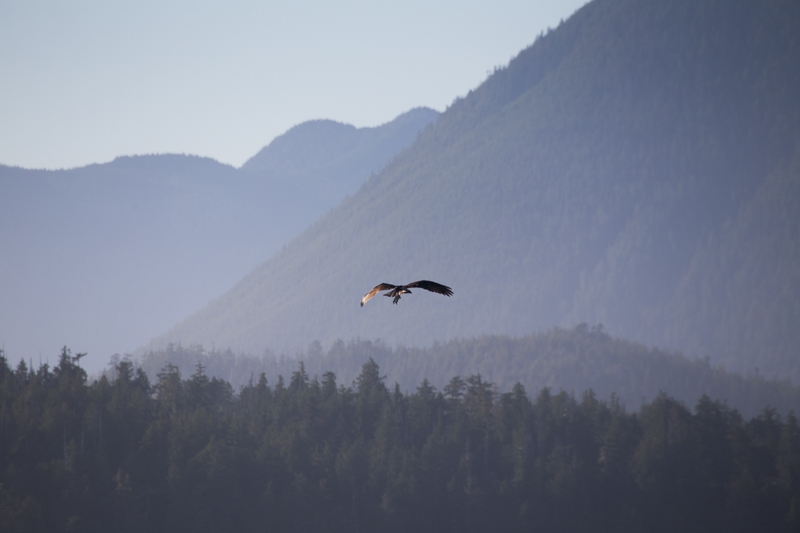 I found “Ozzie” searching along the shore of Browning Pass (north side).I’ve seen him hunting in this area many times,so assume this area is the best supermarket. When I first saw the “Ozzie” coming towards me,I quickly grabbed my camera.He was cruising along the shallows looking for dinner. After he had passed me, I noticed him coming back a few minutes later.I grabbed my binoculars & saw that he had a dinner guest.I must of missed him diving into the water. 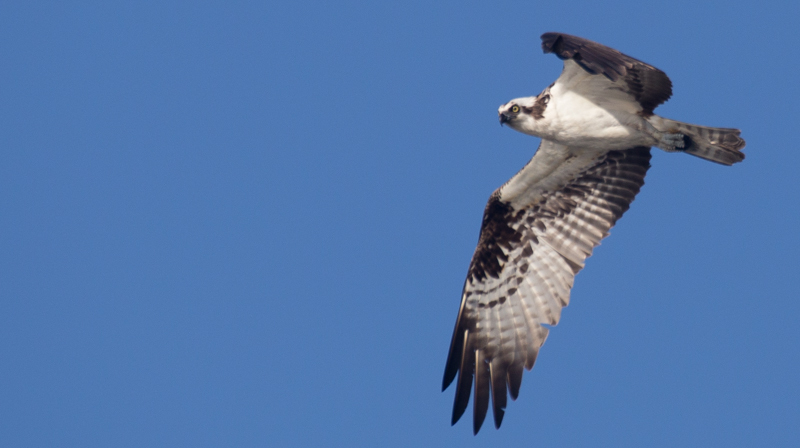 When a Osprey sees it’s prey,it’ll dive into the water talons first! They dive in at a very fast speed! Once caught,it’ll lift back into the air,shake off excess water(so it’s lighter) & fly off to it’s dining area.I watched where “Ozzie” was heading. 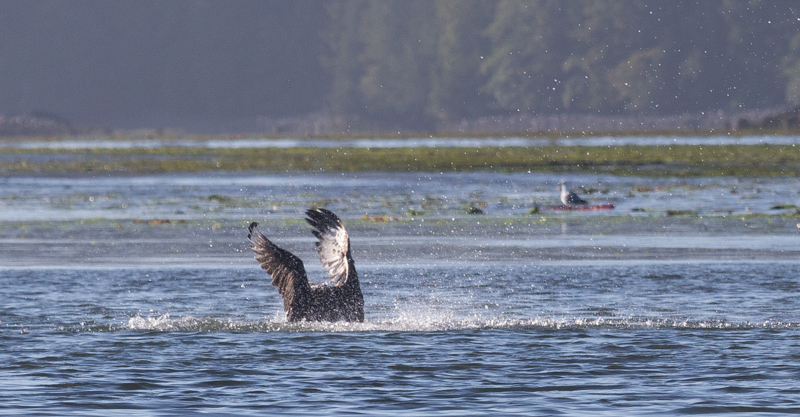 He went in behind “Ducking” island.I suspect he has a nest over on Meares island?